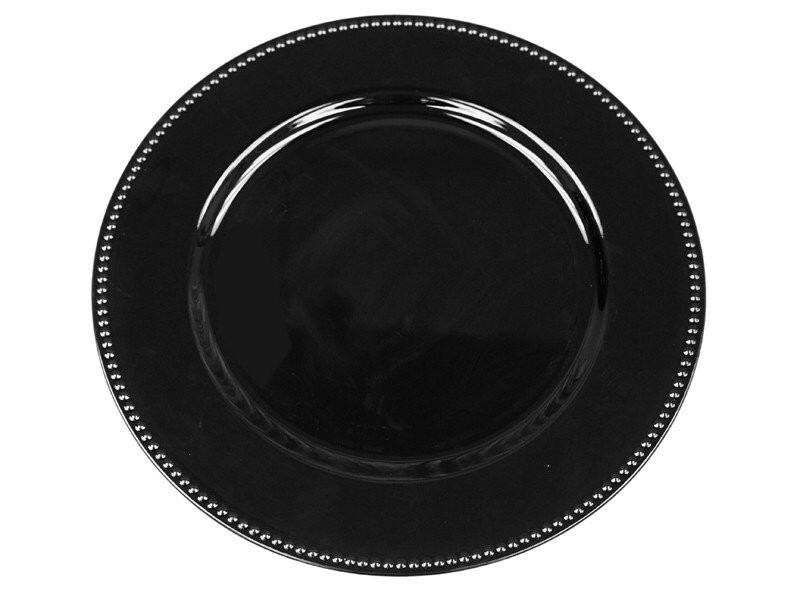 Home > Products > Ya Ya Creations Black Beaded Acrylic Charger Plate 13"
The Ya Ya Creations Black Beaded Acrylic Charger Plate 13" is a beautiful serving piece for relaxed dining or festive entertaining. Designed for sophisticated layering, this charger plate features a sleek black finish that adds modern elegance to any setting. The eye-catching beaded rim of this charger plate beautifully frames dinnerware allowing it to take center stage. Thanks to its ample surface, this charger accommodates plates of any size and provides protection against spills and mess. Made from high quality acrylic, this lightweight charger plate provides unbeatable toughness and durability.